High alcohol content refers to spirits with an alcohol by volume rating of up to 95%. These spirits are commonly used as an intermediary for a range of products, including gin, vodka, irish whiskey, port wine, absinthe, and ready-to-drink cocktails. MichiGrain distills a range of handcrafted high alcohol content spirits for any application you may have in mind. Here at MichiGrain, we take pride in producing high-quality spirits at the large volumes your business demands. 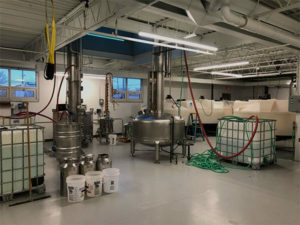 We source all of our ingredients within a sixty-mile radius of our distillery, so you can rest assured you’re supporting local businesses and selling an 100% Michigan-made product. 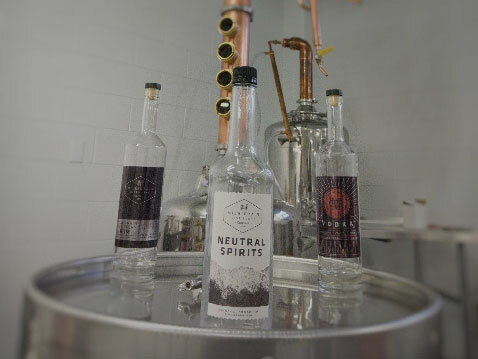 Our handcrafted spirits allow you to create superior products to meet any demand. Contact us today to place an order for our handcrafted, high alcohol content spirits. Although potato alcohol is traditionally associated with vodka, it makes an excellent base for a variety of spirits. 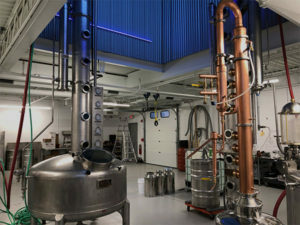 MichiGrain handcrafts high alcohol content potato spirits for gin, irish whiskey, vodka, port wine, absinthe, and ready-to-drink cocktails. We source all of our potatoes from Detroit, ensuring we have a steady supply of high-quality, locally sourced ingredients. The result is a smooth, satisfying spirit that forms an excellent backbone for a range of alcoholic products. MichiGrain’s high alcohol content potato spirits are guaranteed to please with every sip. Contact us today to learn more about our high alcohol content offerings. High alcohol content wheat spirits offer a light, smooth flavor that lends itself well to a number of different beverages. MichiGrain’s handcrafted wheat spirits are ideal for use in vodka, gin, irish whiskey, and ready-to-drink cocktails. MichiGrain is proud to source all of our ingredients from local farms, including our wheat which comes from Lowell, Michigan. We carefully handcraft our high alcohol content wheat spirits to provide an excellent backbone for your spirit and allow it’s natural flavor to shine. Our high alcohol content wheat spirits are expertly handcrafted to exceed all expectations. Contact us today to place an order for our exceptional, homegrown liquor. Although typically associated with bourbon, corn alcohol is an excellent choice to use as a base for various spirits. MichiGrain’s high alcohol content corn spirits provide a neutral, quality backbone for premium liquors such as vodka and gin, as well as ready-to-drink cocktails and port wines. We handcraft high alcohol content corn spirits with only the best corn from local farmers. All of our corn spirits are crafted with field sweet corn from a farmer’s co-op in Mason, Michigan. The result is a fine product that lends itself well to a number of distilled beverages and pleases from the first sip. We distill high alcohol content corn spirits to the absolute highest standards. Contact us today to learn about how our handcrafted corn alcohol creates better quality liquor.